I got a new toy yesterday, a drum kit! Well, technically my Daddy got it from Santa but it was two weeks after Christmas and he hadn’t opened it yet so I decided to do it for him. After all, Santa would want SOMEONE to play with it, it doesn’t have to be Daddy. 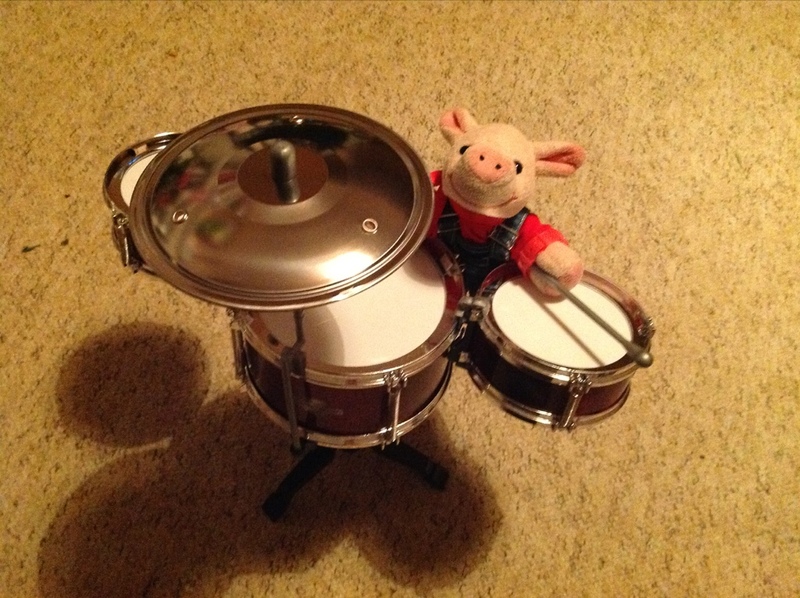 When I opened it up I found more evidence that the drums were really meant for me, they’re perfectly my size! I started straight away to learn how to play them. It took about two minutes to learn and then about another two minutes to get absolutely awesome at playing them. I’m so good at hitting all four of the drums and cymbals at the same time that my parents had to leave the room because their brains were being hurt by how marvellously talented I am. They really wish they could be more like me. I always thought that music involved lots of work and practice, that’s why I was only going to be the lead singer in my band and I was saving up to hire minions to play the instruments. But it turns out I’m really good at hitting stuff with other stuff… Who knew that playing an instrument could be such fun! I’m off to practice some more now. Mummy says it’s such a lovely sound that I should ration it but I don’t want to disappoint my public! 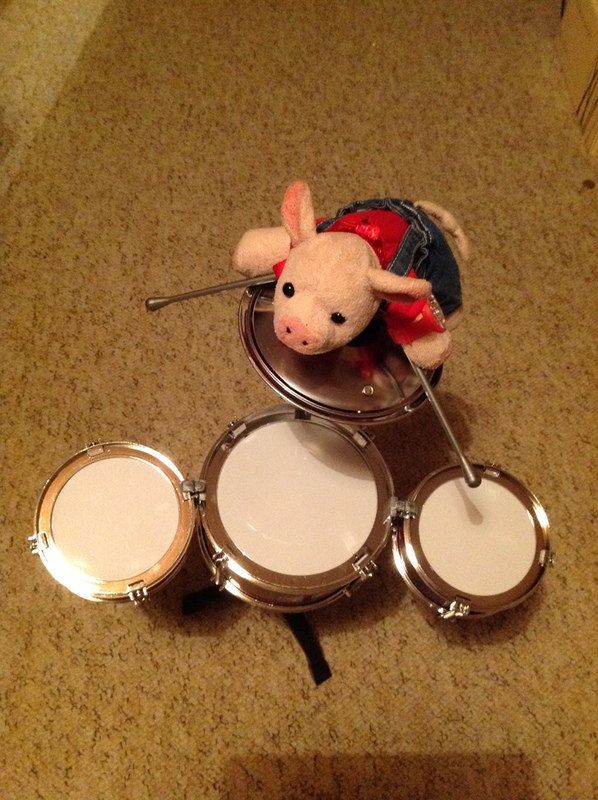 This entry was posted in Uncategorized and tagged Drum kit. Bookmark the permalink.